There can never be a dull moment in Thailand if you love eating and shopping. I am just back from my fourth trip to Thailand and trust me it was as vibrant and delicious as my first, second or third visit there. While shopping comes inherently to me as it is a girl thing, indulging in authentic Thai food is something that I have learned with the regular visits. Whenever I travel to this super hospitable and tourists-savvy country, I always make sure to try and discover new dishes and flavors. This time, it was no different. 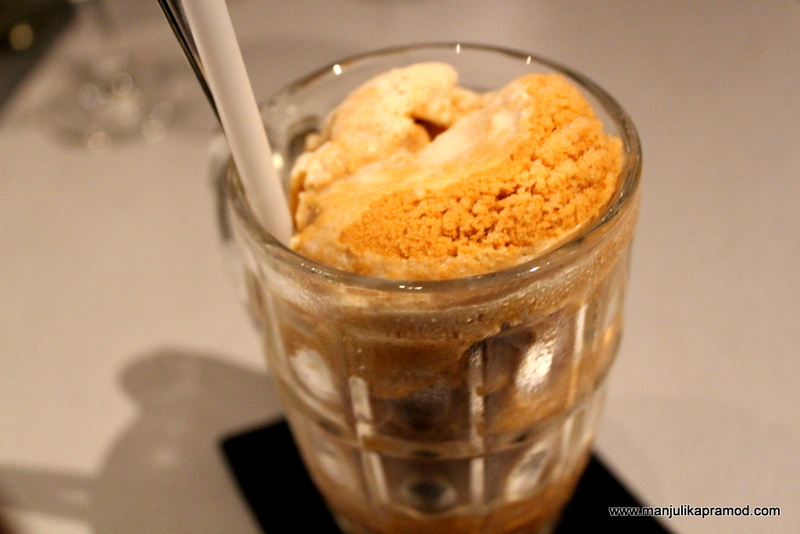 I have come back with a taste for Thailand’s very own and sweet chayen- Iced Thai tea. There was a time when I had no clue what Thai cuisine was all about and I could not name a single dish. But now if you ask me, I can not only make a list but also tell you what not to miss when you are in Thailand. For instance, I wouldn’t like to miss the delectable combination of ‘Ripened Mango with sticky rice and coconut milk’ for anything on Earth. Other things that are always high on my list are stir fried chicken in cashew paste, Som tam-Thailand’s most famous salad and Pad Thai with the crushed peanuts. I have never done a lavish food post around Thai food. But this time when I was in Thailand, I realized I had developed a liking for it and I actually knew what I was craving for. So, this is my way of showing gratitude to all the chefs there. This time when I landed in Bangkok. this was the first restaurant where I ended up eating. The food here gave a delicious start to the trip. 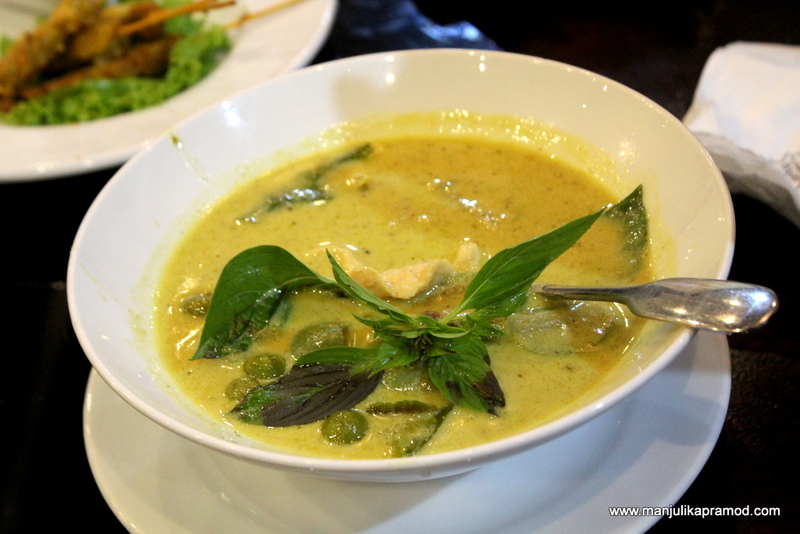 Thai food offers a very amusing combination of sweet, sour, salt, spice, herbs and local ingredients. No less, it has been gaining popularity on the global map and has evolved as one of the world’s most sophisticated and flavorful cuisines. The freshest ingredients, their immune-boosting power and uses of herbs like turmeric, galangal, coriander, lemongrass makes Thai cuisine a healthy choice too. 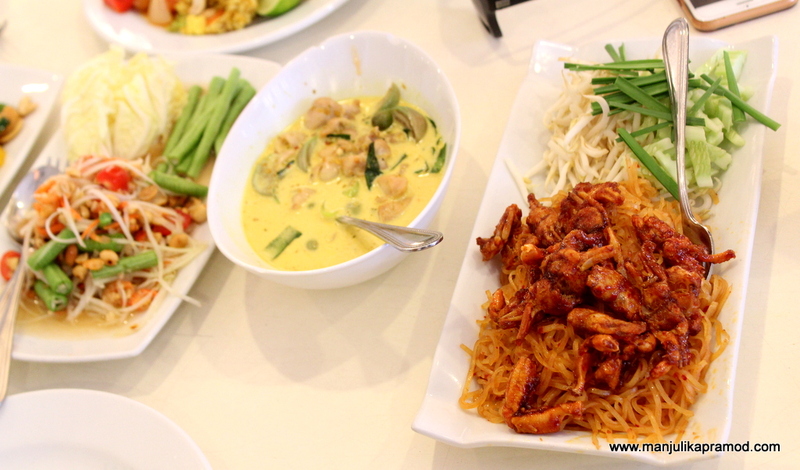 People usually think Thai food is sweet but if you visit a good Thai restaurant, you are sure to find a perfect balance in different flavors. I might sound biased, but in my view the most interesting Thai food is on the streets. Its loud and on the face. The chicken that comes from the charcoal grill or the soupy noodles that are served in the bowl, the curries with coconut milk base, the coconut ice creams, the Thai basil added to the broth, sticky rice is about real indulgence. 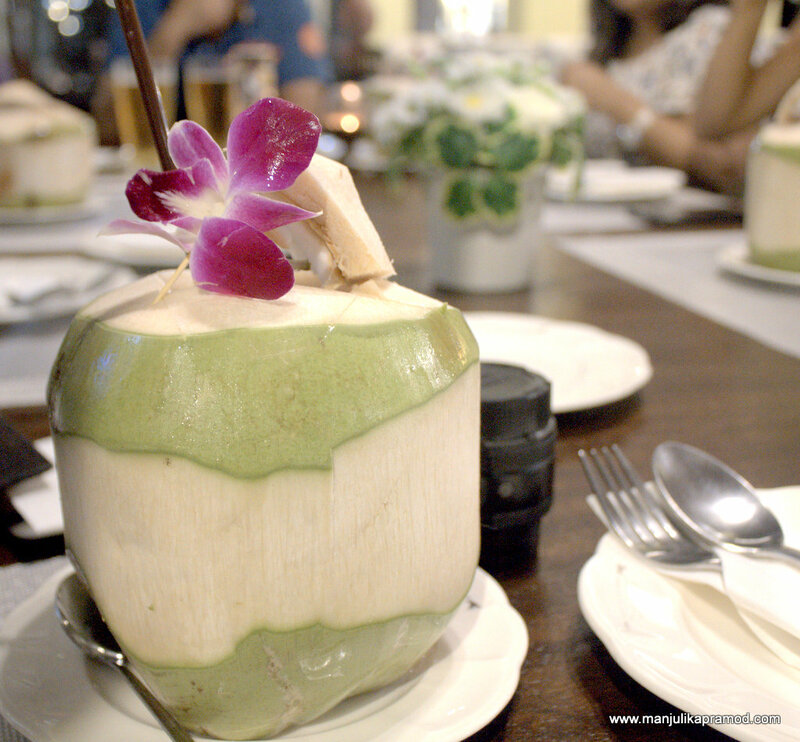 90% of Thai dishes use coconut as their main ingredient and still I would recommend drinking coconut in Thailand. Its different in taste and it keeps you hydrated and healthy. No day in Thailand is complete without a Coconut drink. For the uninitiated, I must tell you that Bangkok is a place where people are obsessed with eating. 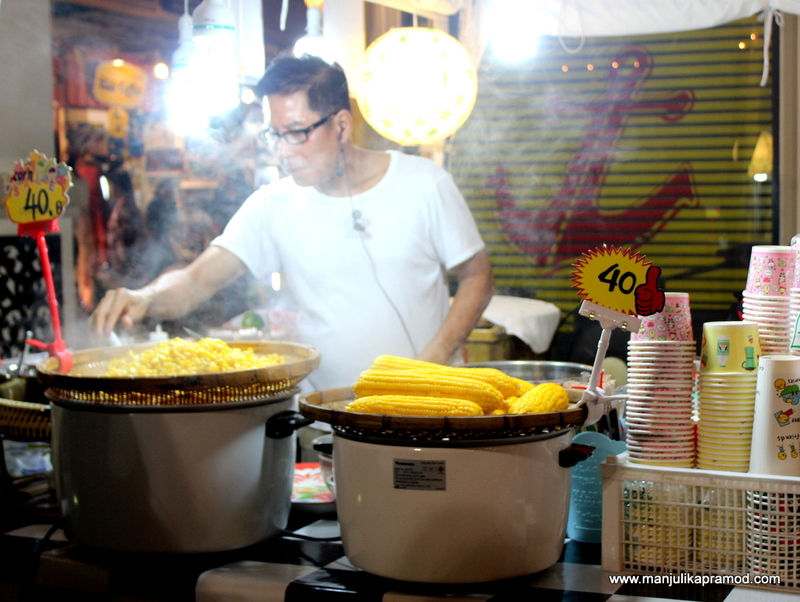 You cannot ignore the most popular and distinctive identity of the capital’s pop stalls, food vendors, hawkers on the streets. 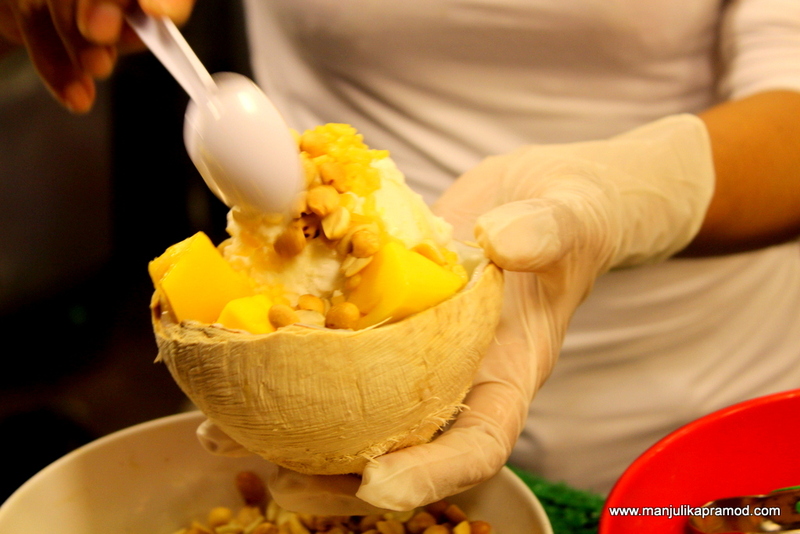 Thai street food is nothing less than Thai culture. The people cannot do without eating on the roads, on their way to work, while shopping, etc. Yaowarat Road is the place which you must check out if you have time. 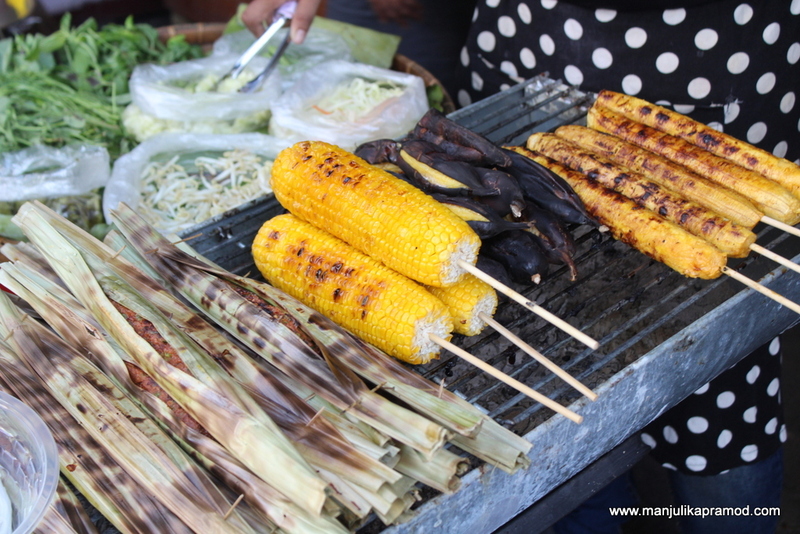 It is said that street food culture of Thailand was born here. 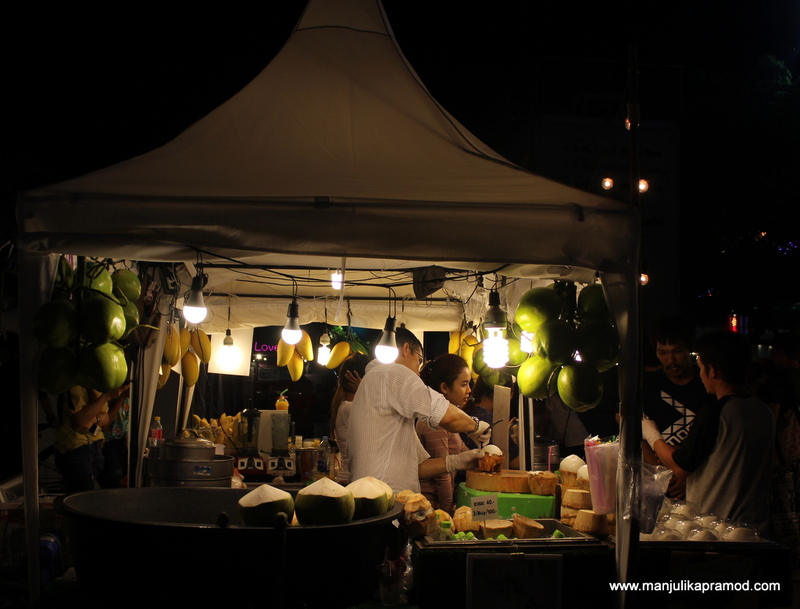 Personally, I like going to Asiatique for its night market which is catered by hordes of food trucks and street food stations and it is hygienic. There are good Thai restaurants too and one can also find hawkers around Asiatique. Locals love corns in all forms. It is a popular street food. 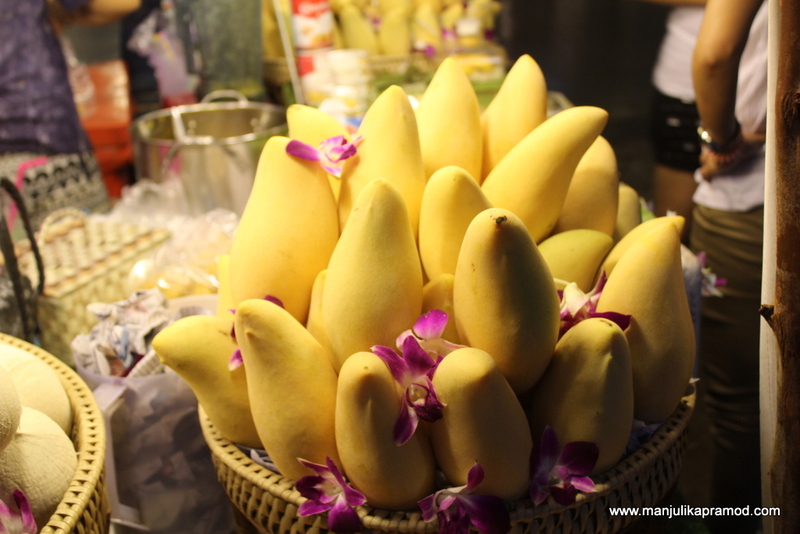 When it comes to tropical fruits, Thailand is blessed with a great variety. In fact, there are a range of orchards in Rayong and being one of the best fruit producing destinations in Thailand, it is known as the mecca of fruits. Rayong is located 3 hours away from Bangkok by road and this is the place where you can opt for fruit tours in orchards, pick your favorite fruits and indulge. I am not someone who goes berserk without having fruits in diet but whenever I am in Thailand, I ensure to eat some everyday. 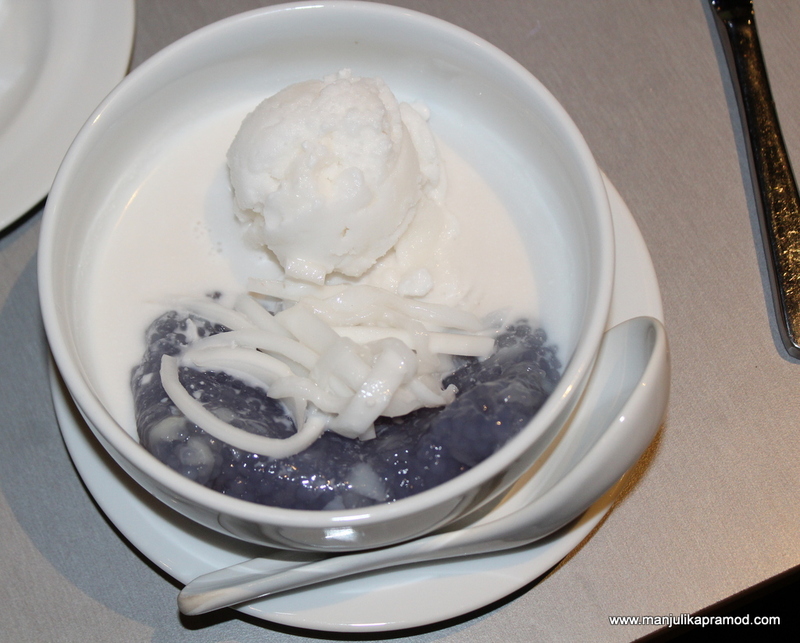 In fact, I had fallen in love with Rambutan and Mangosteen in Bangkok during my first visit. Guavas, Banana and Mangoes of Thailand are equally delicious. I ate Durian in Malaysia for the first time but the love for it continued in Thailand too. We are talking about Thai fruits in the best time. 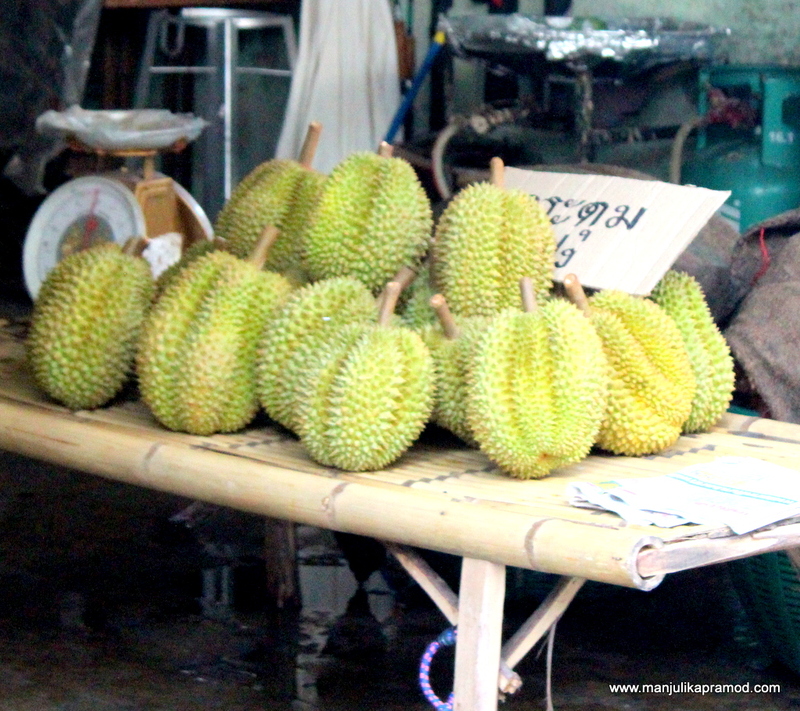 The season of fruits in Rayong is May, June, July and the fruits are in their full bloom. Fruit buffet is one thing that you should not miss. One can enjoy a plethora of fresh fruits at one place. Fruits like papaya, pineapple, jackfruit, rose apple, starfruit is cut and put on trays. You can pick and eat as much as you want. 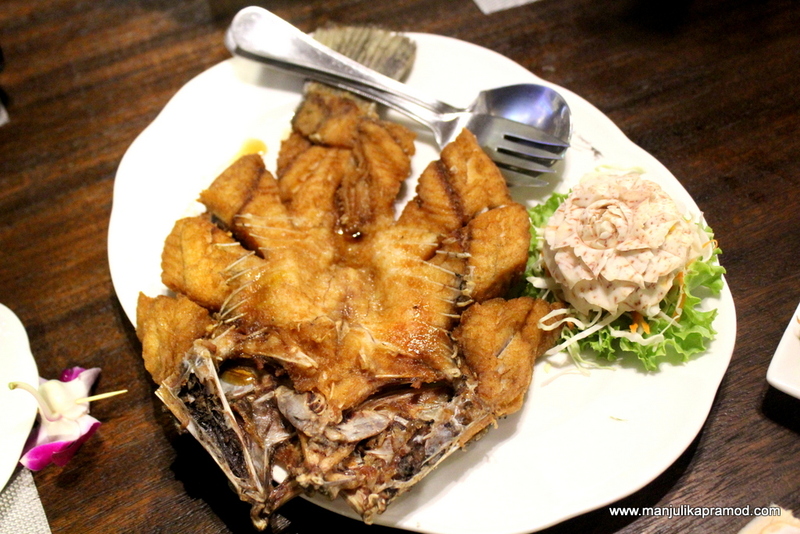 Pattaya is not really about great Thai food. It doesn’t offer you traditional Thai everywhere but it definitely gives you popular Thai foods that are loved by all and have already made their presence felt on the global map. 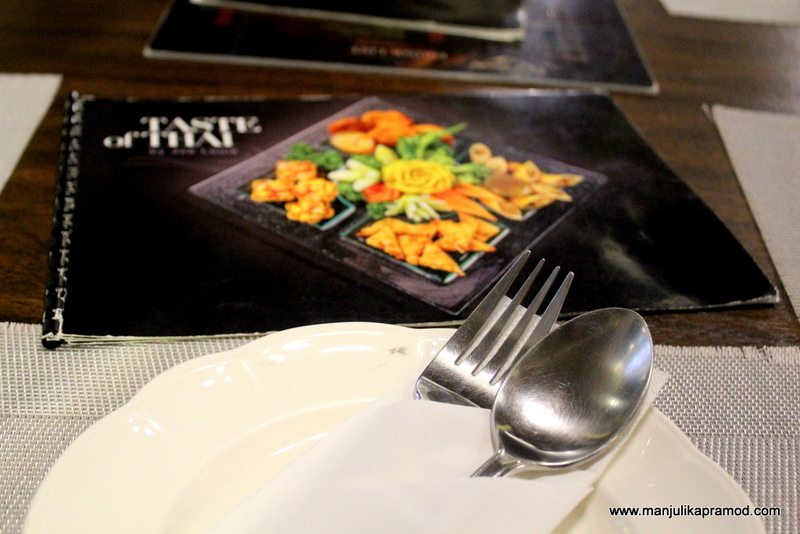 Since Pattaya gets a lot of tourist footfall, it has restaurants here which cater to Western tastes. 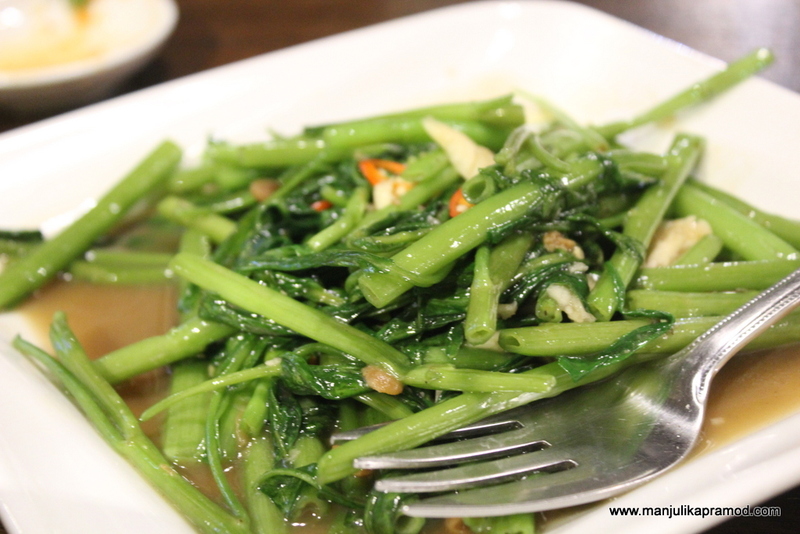 The flavors are made subtle and the dishes can be cooked to your choice if you want. 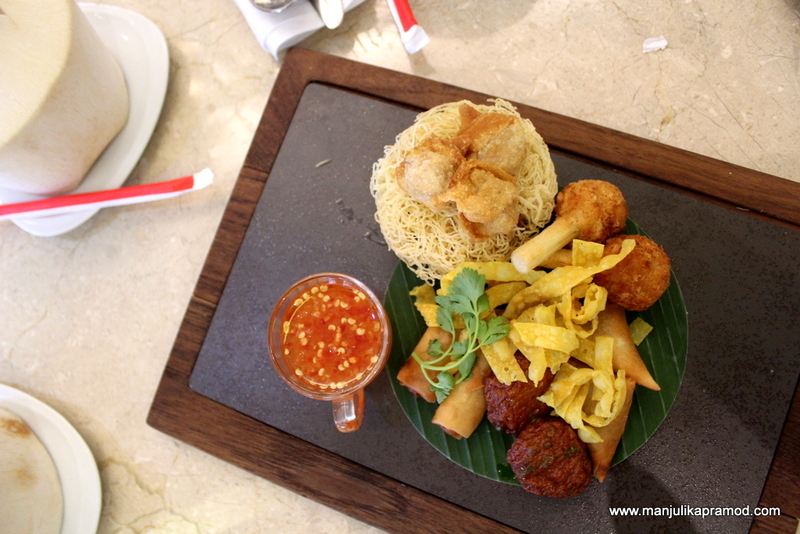 This Asian platter that I ate at one of the cafes in Pattaya was yum too. The below pictures will show you all that I ate during my recent visit. 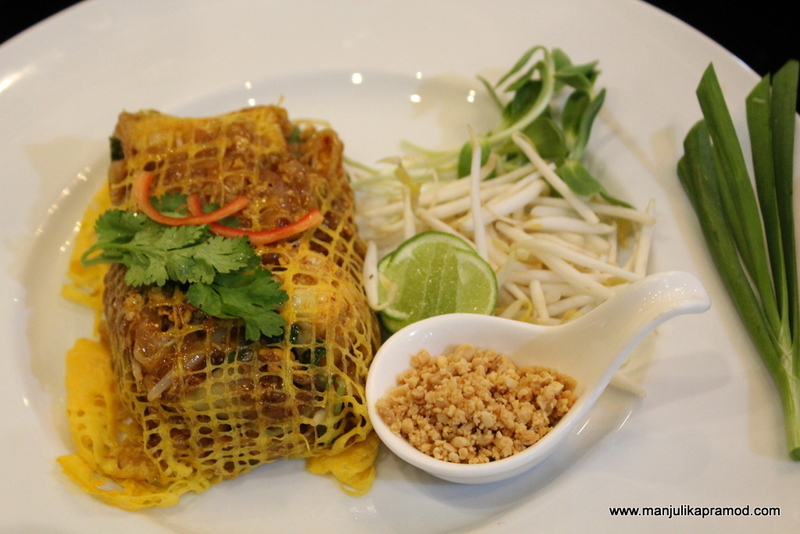 It will also prove that disparate ingredients create great Thai dishes. Some of the dishes always find themselves on “World’s 50 Best Foods”. Last year there were 7 in the list. 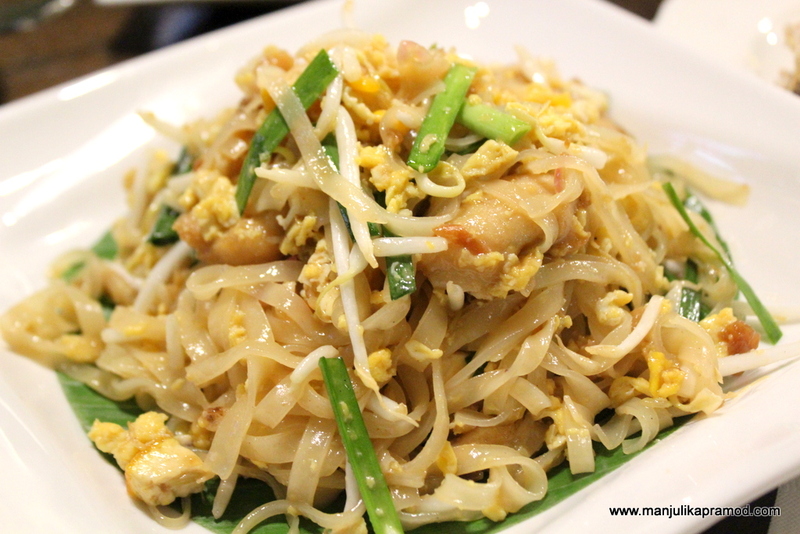 I will definitely recommend you to try 3 of these dishes – The Papaya Salad, Pad Thai and Green Curry. I bet you must be hungry by this time. You might not be eating Thai today but you can always tell me your favorite Thai food in the comment below. I’m so hungry after reading this post now! I love Thai food, and try to handle the spice when I can! Pad Thai is a classic, and the fruits are so delicious and unique too. I’d still give rambutan a miss though; it’s really smelly! This street market looks like an excellent choice! Omg I just ate Thai food, like we do most of the days as I am from Thailand, but now reading your post I get hungry again! I dont understand how the Thai keep themself so skinny when they all surrounded by food everywhere and all the time (although the obesity is increasing in Thailand). These food you mention here are Thai food, but I would call it tourist food because what we locals really prefere to eat are stinky and very spicy stuff that you cant find in an ordinary Thai restaurant outside Thailand. I fully agree with you when you say, food & shopping are two most interesting things of Thailand. Have been there several times… solo, with family and on official trips. Each time the country threw me surprises. Food is one of the reasons that I will go to Thailand this year! I enjoy reading the post and the beautiful pictures of yours. 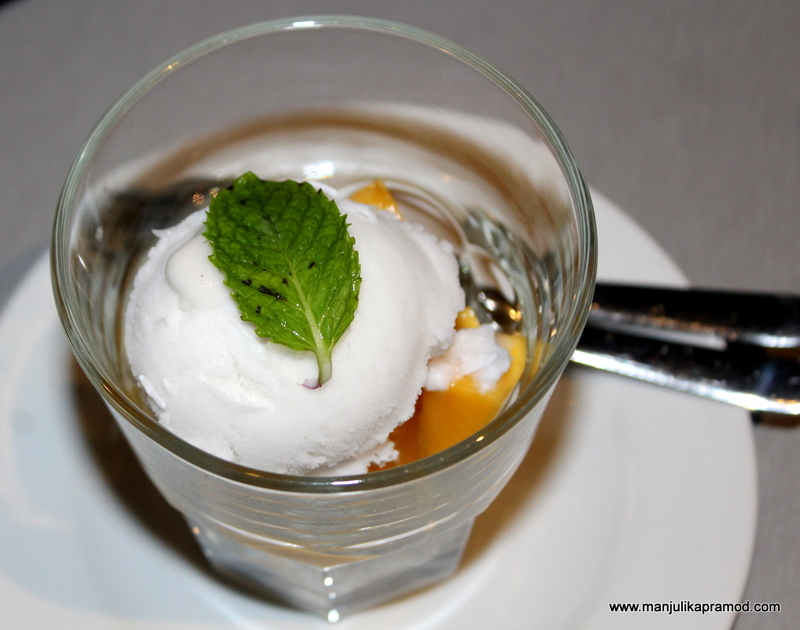 I’d love to try Mango sticky rice, pad thai, Sago Ice cream for the first time. Of course, I will also try the curry too to compared to the ones I had. Can’t wait till my trip. Being a Vegetarian, I have never had any problems in Thailand. I absolutely love their food. Like you mentioned, I am too a huge fan of Rayong. On my solo trips, I would survive on fruits only. They are so delicious and fresh.